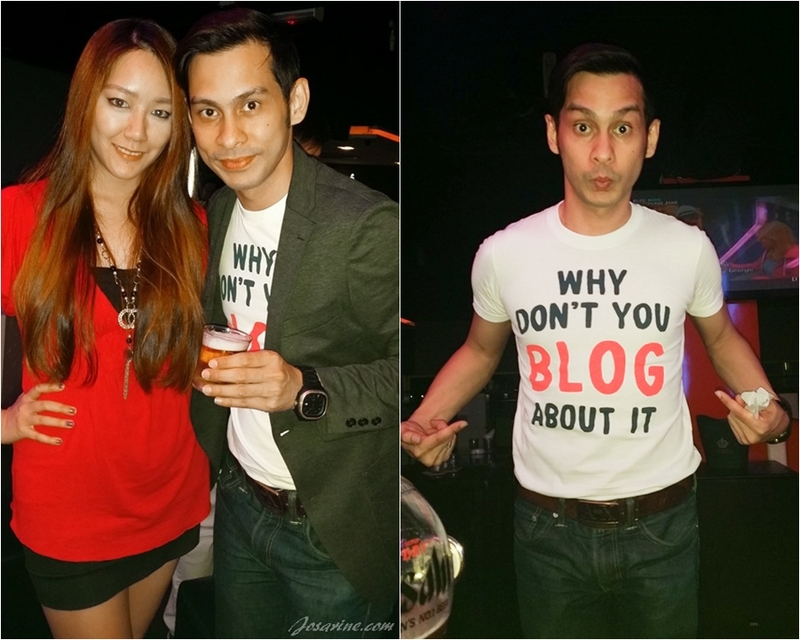 I started actively and consistently blogging since April 2012... so it has been like 2 years plus now? Wow has it only been 2 years? Because I feel like I have been doing this for sometime now. I guess when i'm so busy and so active with events, reviews, launches, etc... made me feel like I've have done quite a bit, hence why I feel like I've been blogging for some time now. But all this did not happen if opportunities were not given to me. Thanks to my blogger friends who helped brought me in and guided me, but most of all I would like to thank Manoah Consultancy. 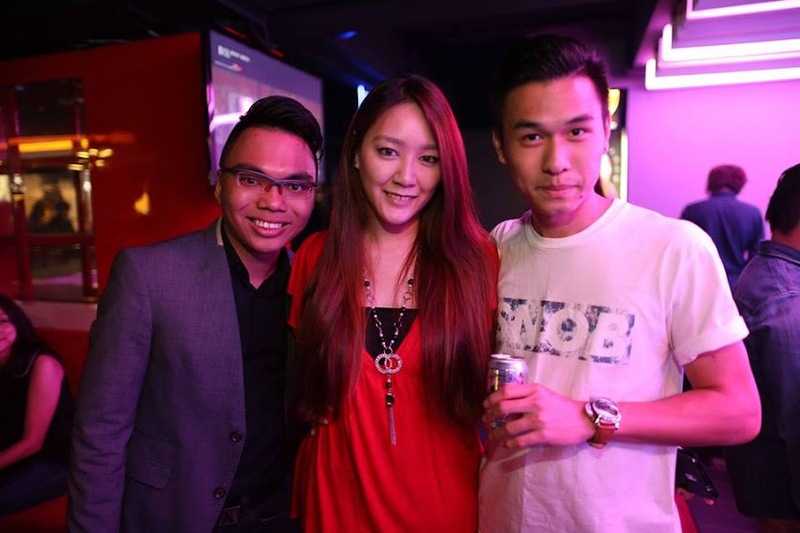 This is not an advertorial, but purely my sincere thoughts, experience, and appreciation to the man behind Manoah, Donovan Chan. I would like to thank you Don for the many many opportunities given to me even up till today. Sometimes I feel like you have helped me so much and gave me many opportunities that I do not know how to re-pay you other than just being loyal and continuously supporting Manoah. 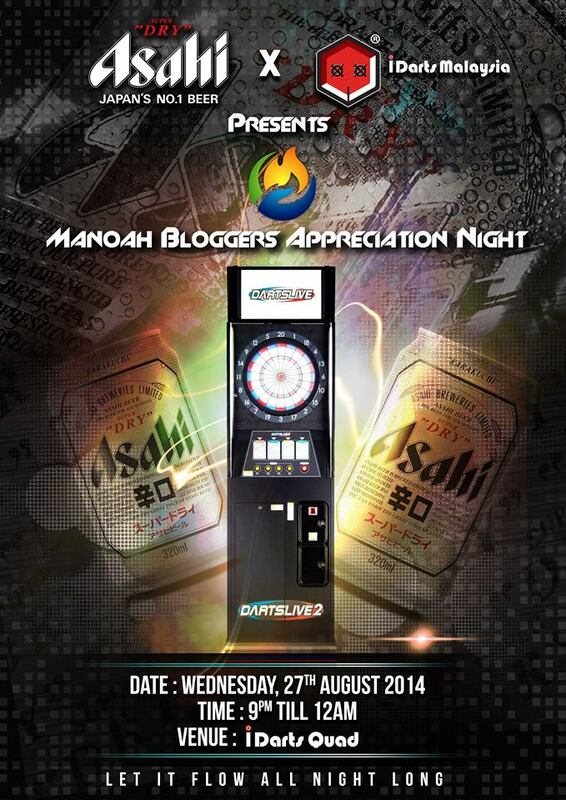 That being said, Manoah organized a 'Bloggers Appreciation Night' at IDarts, Sunway Giza. There were a lot of Asahi, games, darts, cake, but most importantly... people. Friends and bloggers who support Manoah were present at the event having fun, taking lots of pictures, catch up, mingle, drink, a purely chillax night. Are you guys good with darts? Challenge me... and i'm guarantee you... you will win. 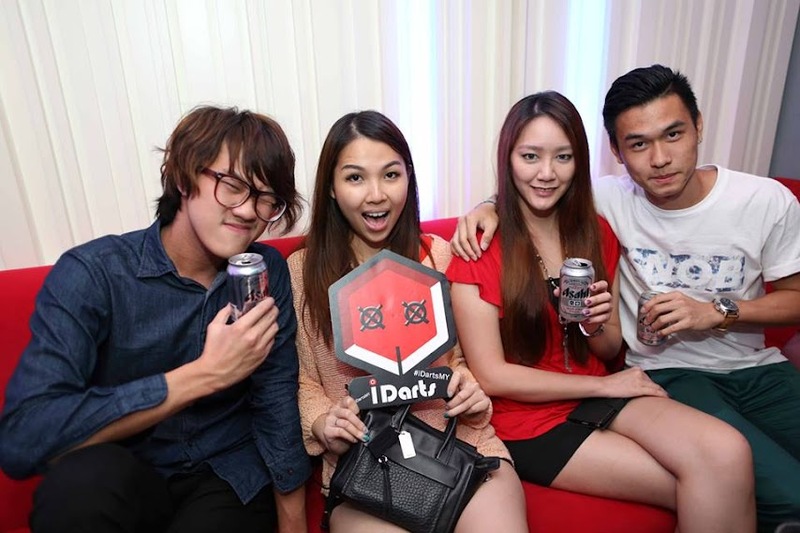 :p It was really nice of I-Darts for sponsoring for this event. 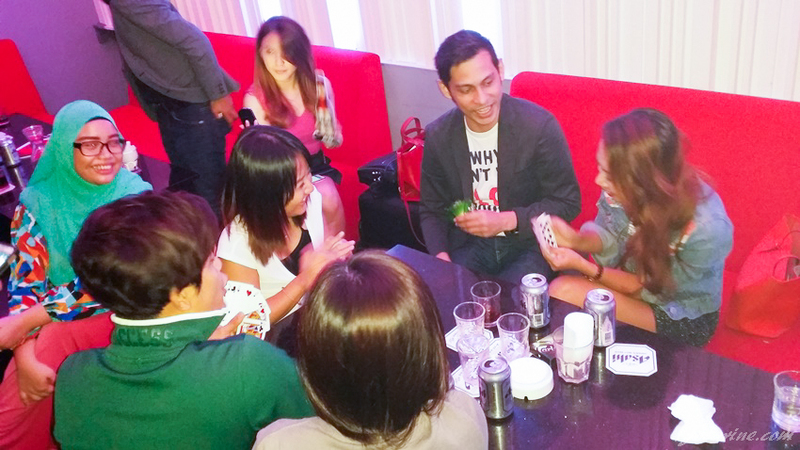 Bloggers mingling and playing cards! I guess the loser drinks? Jennie babe! Haven't seen her for so long! Was great catching up again... still as cute and gorgeous as usual. 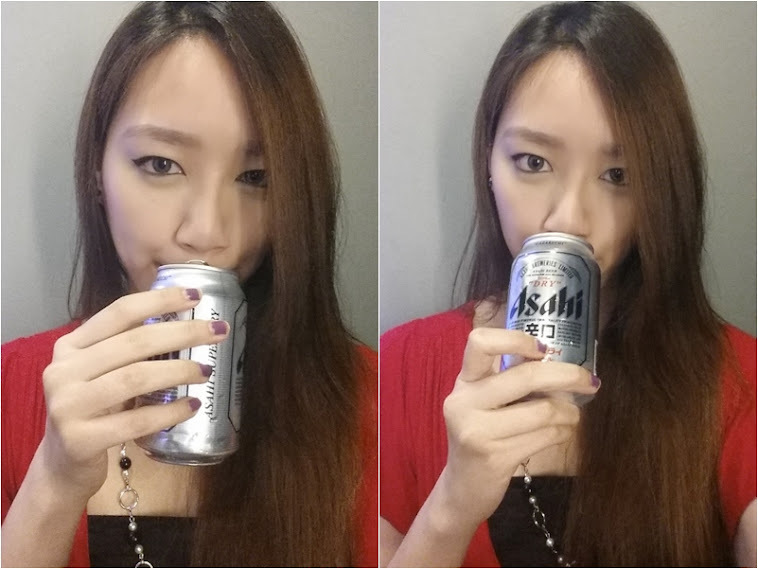 I kinda like Asahi Beer, they are easier to drink and not as bitter. It was a fun yet relaxing night, although I had a little too much Asahi and hung over the next day... but what mattered was that I had fun. 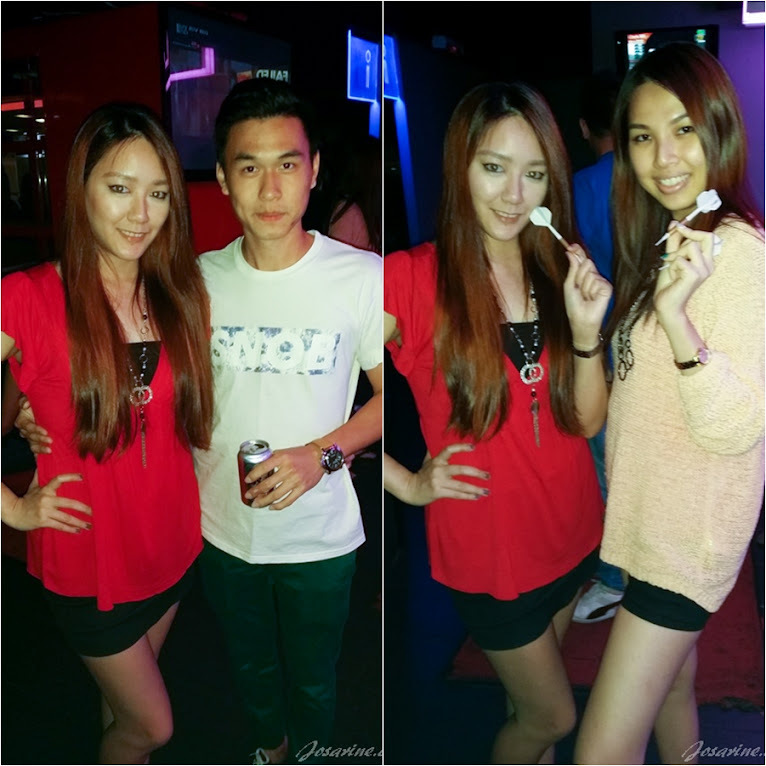 :) Work hard, play hard.